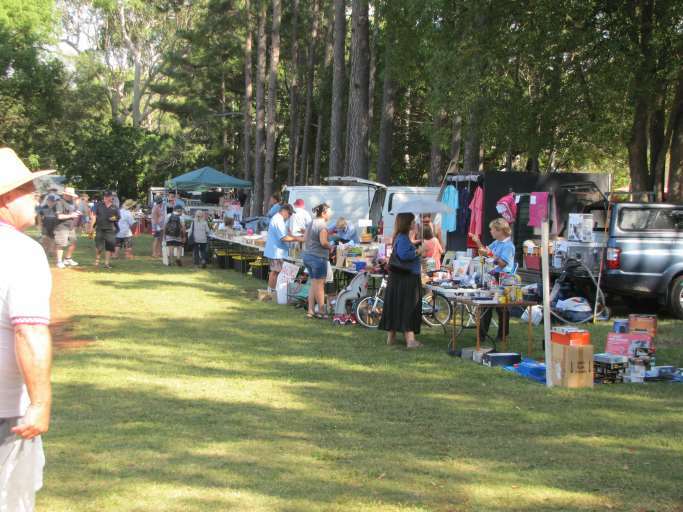 The Bayside Club Annual Swap Meet is held on the 25th of March 2018. There are hundreds of sites selling parts for all types of vehicles so if you are looking for that special part or just cant resist a bargain be sure to come along. This year there were hundreds of sites filling both school ovals selling everything from screws, tools, vehicle parts through to whole cars there were also plenty of sites selling bric-a-brac. Gates open at 6.00am and the day generally finishes about 2.00pm. The Ormiston State School sell all the food and drinks at the Ormiston Swap and it is their biggest fundraiser. So when you attend the Ormiston Swap and buy a burger or have a cuppa while you looking for that hard to find part to fix your pride and joy you will be helping out the Ormiston school community. $5 Pedestrians, shoppers and lookers, with children under 12 free. Undercover sites will be available in the school hall for Antiques, collectables, memorabilia, books, jewellery, model cars, etc. Entry to the Ormiston Swap at the Ormiston School is from Wellington St or Dundas St East, Ormiston. The school has a No Smoking, No Alcohol and a No Pets policy.